Ohhh I have missed you. This. Us! I feel like I’ve been away for so long! I’ve actually been ‘attempting to write’ for the past few days, but it just. wasn’t. working. I’m struggling to find my way back after the Christmas break. This has of course nothing to do with being sick for the entire break… hmm…. I mean, I even pulled off a before and after between Christmas and New Year’s! No… this is sort of hard to explain. It’s like my creative soul decided to take a small vacation after our vacation. But I HAVE found a way around it! The ‘art of the non artisitc task’ is the key! You know how when you feel really good, it’s easy to be creative? But during those times you’d NEVER think to do something menial like washing a floor. Nooo…. 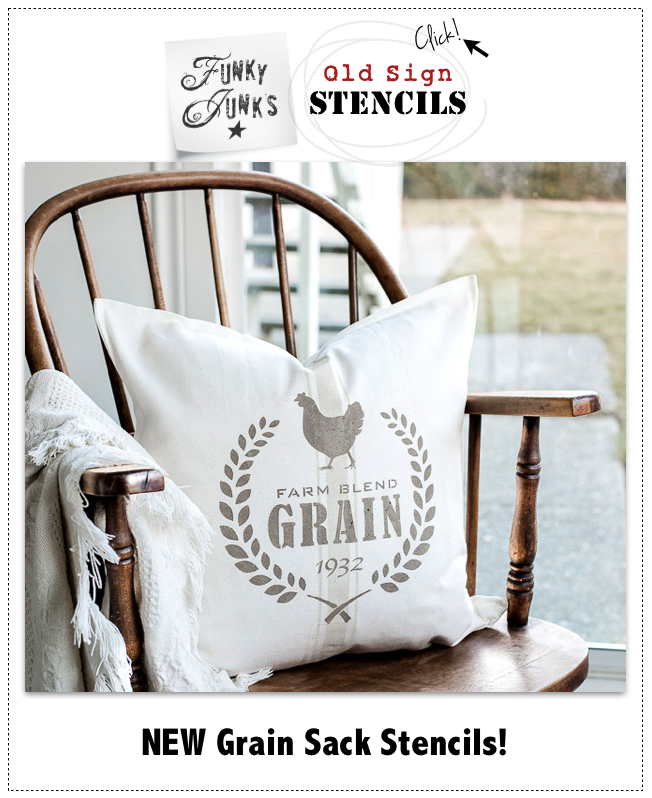 you’re in your flighty artist mode, dancing with tools and paint in hand, with masterpiece on the agenda even before dinner! Much to your always hungry teen’s dismay. 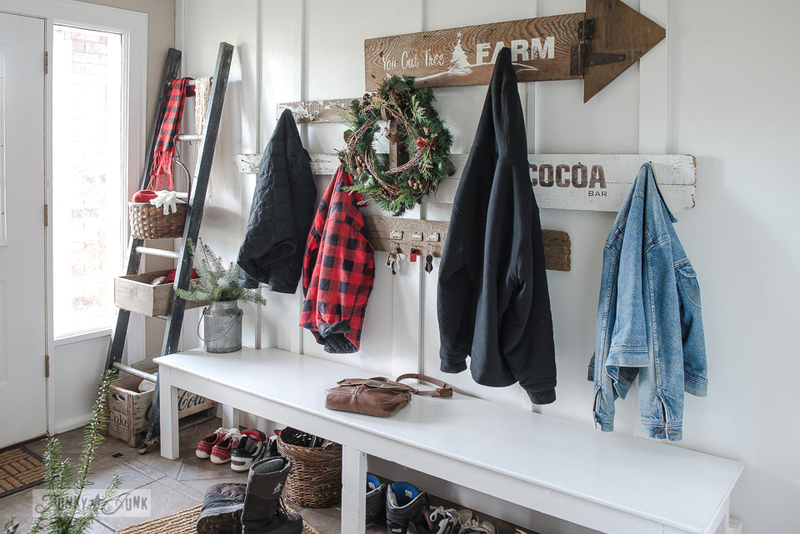 So today, not feeling like a blogger at all, but rather just a homeowner with too much to do and no energy to do it, I dove into the nasty task of gutting underneath the stairway. Beware… this post is not pretty. I had to… because this is where Christmas goes back. And there was no Christmas going back in here as is! So please just imagine my beautifully newly revamped front entry jam packed with boxes. It was pretty messy. I’ll spare you more bad pictures. But once everything was removed, the unexpected fun began. Crissy! It’s been awhile… a year or so? 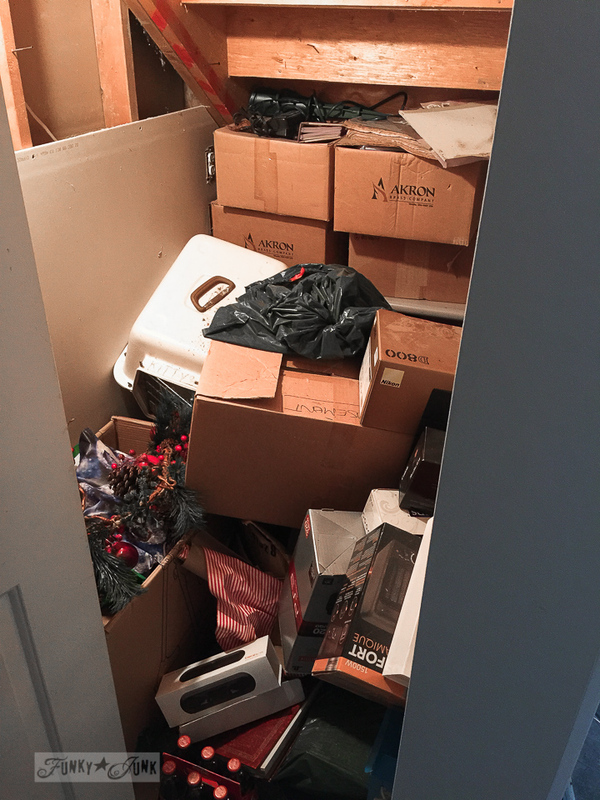 I clean this dreaded closet every New Years… because of the same issue. It just gets trashed. 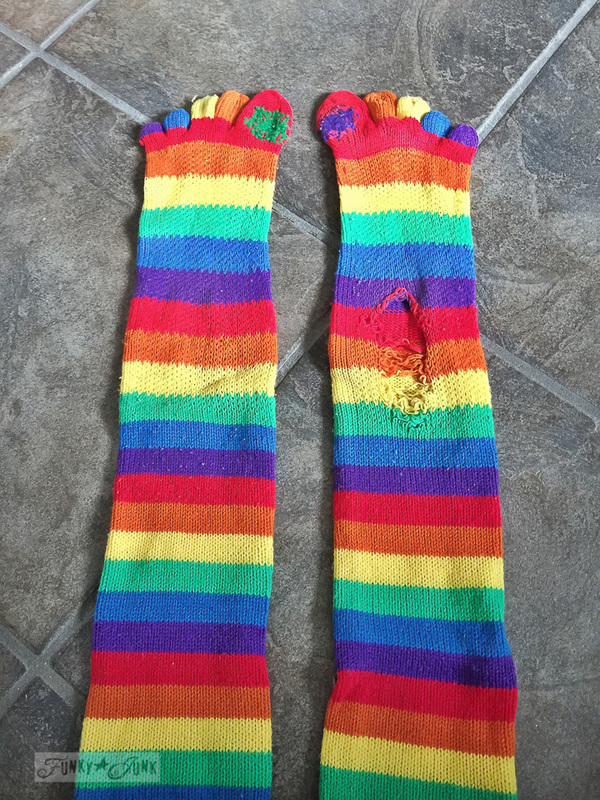 And my beloved toe socks… complete with patches my mom painstakingly created. 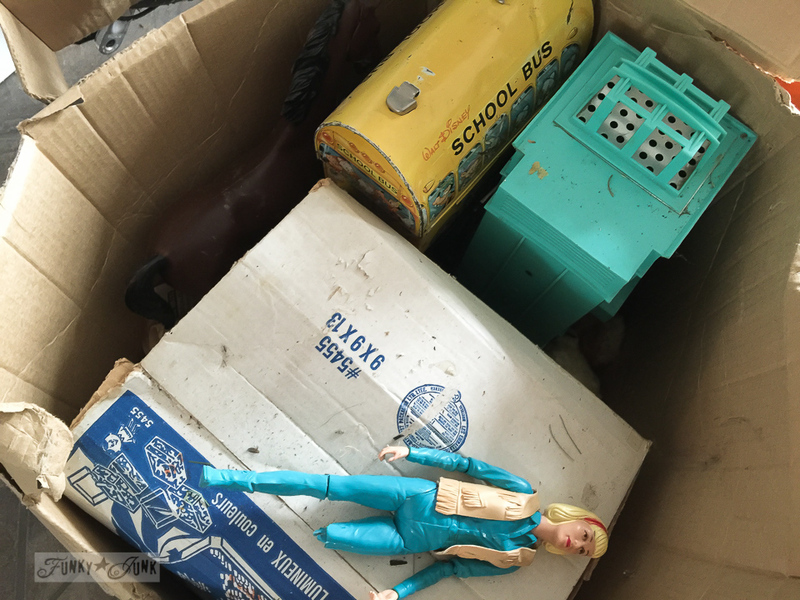 I also found my Easy Bake Oven, Flatsie, my Footsie, Malibu Barbies, my Disney schoolbox lunchkit, tea set… a fun little dig! You can catch my findings just for fun on this Periscope broadcast I did today if you wish! I have to admit, the toy tour brightened my day. So, I gutted the closet until it looked like this. 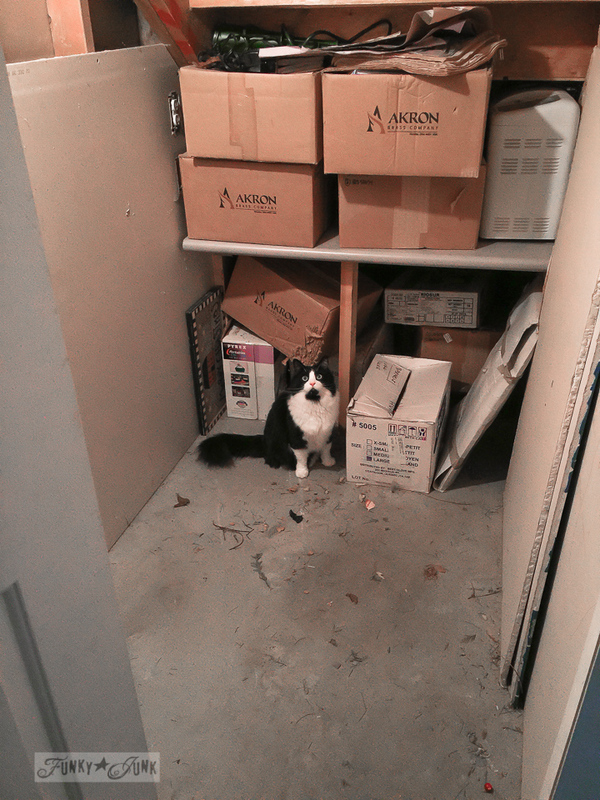 And here’s where I got a little fright… see that box above Skye? This wasn’t good news. Kinda freaking out, I searched for any proof of rodents, but there was nothing to be found. Oh you sneaky one! And whew… all in one breath. There’s a hole in this wall that leads to another room, for the water shut off. When the cats get a little rattled over something, they hop through the hole, and hide in this space. So obviously, they’ve made themselves quite at home for the past year. Knowing they love to hide in here, I made it a little more convenient. After cleaning everything up, I shoved the boxes and arranged them in such a way that they actually have a walkway into their little hideaway now. Soooo much better, with floor space to spare! And right… time to run those two into the vet for a checkup, now that I found their seat belts. This is so not a pretty makeover, but honestly? This is the best kind if you don’t feel creative. It gets the job done, while continuing to improve your life, so you feel that much more inclined to do it again elsewhere. I’m slowly moving through one not pretty space at a time, so let’s hope something pretty rises to the top soon! Are you also finding all kinds of cool stuff during your cleaning? Do tell! What are you working on? Your crissy doll! Oh my gosh, Donna! What memories! I remember my doll and it’s been so long since I’ve seen her. Your photo brought back such memories. Sometimes as an adult I still laugh and say that I wish I myself had a button I could push and have long hair one day and short the next! And I know what you mean about cleaning out your closet. It sure feels good when it’s done. Thank you for a very wonderful post that made my day! I’m thinking you could do something fun with that lunch box, turn it into a planter or something. I had a velvet doll – she was my favorite, by the time I was finished playing with dolls she didn’t have much hair left to pull out because I liked to give hair cuts so the ends were always even. Funny the things you remember, can’t believe you still have the original box. Memories are great! Oh! I had a Velvet doll too! I loved her so much that I “loved off” some of her velvety skin…Great memories! OMG, I can SO identify! In January, we at Flea Market Gardening also take stock and clean up, but with our potting areas and crafting spaces. We also recharge ourselves with our huge January Project Challenge where we pick a project and commit to accomplishing it this month. Even garden projects in the midst of Winter! It gets us going to set a small goal like you did here and get ‘er done! Wow did your periscope video take me down memory lane. I that that very same easy bake oven. Much to my Mom’s dismay, I baked every single package that came with it within the first couple of days. 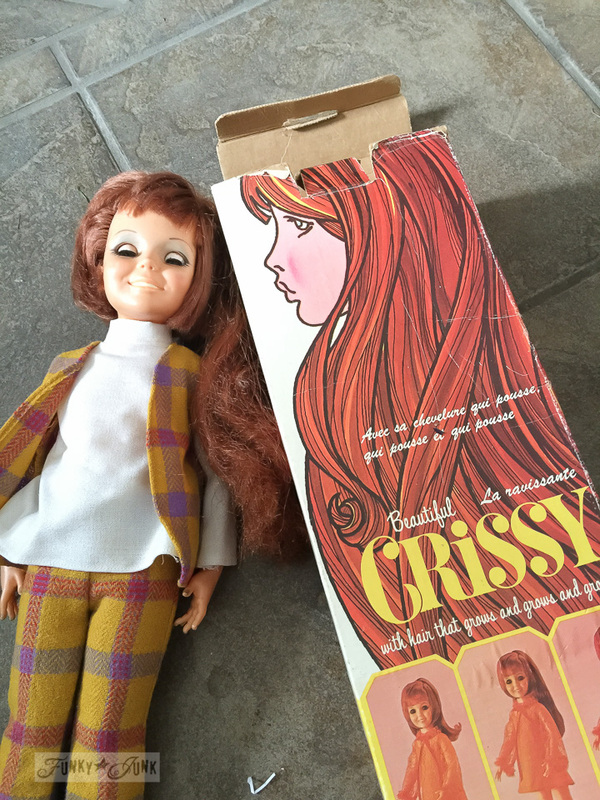 I remember Crissy too – spent hours restyling that hair until my sister (who became a hairdresser) cut her long hair. Now I’m going to date myself, my first memory is of my Chatty Cathy doll. She was almost as big as me when I got her. Unfortunately, not one of my childhood toys survived, being the oldest of seven kids. All the reason I saved loads of stuff from our kid’s childhood. Thanks for the trip down memory lane Donna! Donna you practically bought tears to my eyes!! I used to have a Crissy doll when I was a little girl and it was my FAVORIE doll ever! Oh that lushious hair! And the way it became so long… I so loved my doll! Isn’t it funny here we are on a home website and we are reminiscing about our childhood toys. Thanks for the great memories, I’m gonna share this with my daughters so they see how dolls were back in the day! LOVE it!!! the socks, the tour, and the cubby hole for the kitty’s “scratchin post”! 😉 I have a cubby under my stairs as well! I LOVE it! 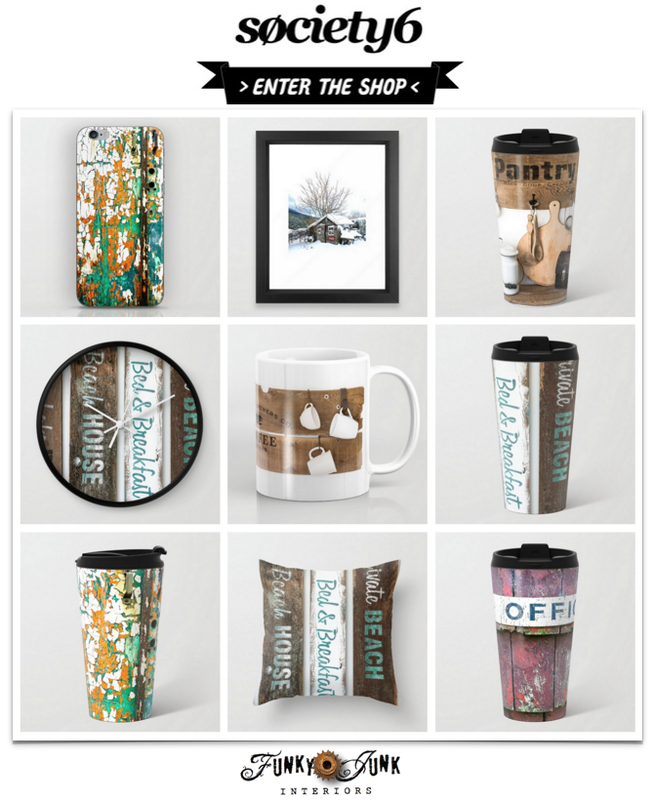 stash a lot of seasonal decor and paper products! I’m glad you’re up and running again! when I feel “downish” I grab a “rag” and get busy at something! 😀 great therapy! We have the same kind of shredding but it is on my silk chairs in the living room from our newest little addition. I don’t care. I love the little dickens and I can always recover the chair. I guess everyone is cleaning right now and organizing our homes after Christmas. I am going to get rid of everything I didn’t use this Christmas and donate the things to Savers. I want the basement organized now. Oh, I thought that was Jane West! I had Johnny and Jay and Josie and lots of the horses! I loved those toys. Glad you didn’t have a rodent problem. Those stink (literally!) Don’t ask how I know, ok? And toe socks. Had them too. Fun times! Your closet looks much better. Being able to find things and it be neat are all that counts! I love your junky style! My theme for decorating this Christmas was actually vintage toys! It was great fun (my children are 10 & 8). We used my old Lite Brite from the 1970s, my old pop-up books, the Fisher Price farm I played with as a little girl…..I would LOVE to see you decorate with some of your old toys…I’m sure you would come up with some awesome ideas! God bless! My Great Aunt Helen had given me that doll, and my mom replaced her ASAP. Flatsy…I remember buying the neon pink haired one. I loved her! That skip it got downright fancy! Too funny the thing is still being marketed. What fun!! You have quite a treasure trove of the sweetest childhood goodies. I remember the Footsie, but I think we called it a Jingle Jump. Barbies were tops on my list along with any play thing on wheels. Ohhh you made me google jingle jump! Looks to be that it was something you put together but did the same thing. And regarding wheels… my Barbies had the country camper… long gone now, but was that thing cool! I was a champion footsie-er! lol In second grade, this group of older boys (mostly 3rd and 4th graders) told me I was the best and asked me to teach them how. That is one of those memories for me that I know I will retain no matter how my increasing age decreasing my memory. I never owned toe socks but have you seen the toe shoes out now?! They are the ugliest articles of footwear ever but I hear from proponents that they are the most comfortable and healthiest for back and hip concerns. What a fun trip down childhood lane. Thanks for sharing! Good going, Donna! I’m just starting the “crap to clean” by summer. I just couldn’t get motivated last fall. Bring it on! 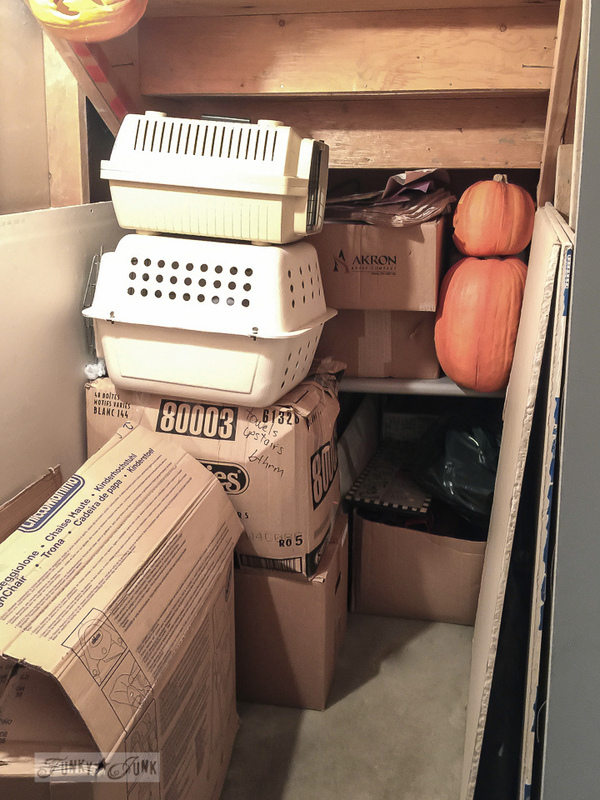 From Crap to Clean before Summer… I do believe I need to change the theme of this challenge! LOVE it! Go you!! I had a Chatty Cathy. The next sister down had a Chatty Baby, and the next sister had a Thumbelina. Of course, the first two had a pull-tab and could talk. Thumbelina had a knob in the back. You wind her up, and she gently moves, kind of like a newborn waking up — squirming. I don’t know what happened to these. When I was very young, I had a baby who I named Penny Lynn. Everyone had to have my middle name, I think. I named one grandma Grandma Lynn Lynn. I guess I took this baby everywhere. She had a vinyl outside, but she was stuff and had a wire armature. One day, my mom told me that we needed to put her in a box and send her to heaven. She must have been really loved. I almost remember a wire sticking out of her. So, I guess I reluctantly did it. Later, I looked in the box, and it was empty. Penny went to heaven. As a young child, I believed that. I still have my Midge doll. One sister had the Barbie with a bubble hair-do. The other sister had a doll where you had markers to color her hair. I don’t know what her name was. I still have Midge. My mom knitted them clothes. One dress was a bright grass green with white fuzzy mohair at the hem. Tres elegante! We had lots of fun with those dolls – probably until we were about 14, at least. Thank you for the memories. Many blogs do this for me, and I have fun remembering. We must be very close to the same age! I have about that much of a Jane West doll.She also has scorched and melted marks because my brothers liked to make her hold firecrackers. I have the exact same horse. I had a Chrissy doll, her pull out pony tail got trimmed so many times, it is gone!I have a pair of toes socks the same colors I still wear from time-to-time with my birkenstocks! 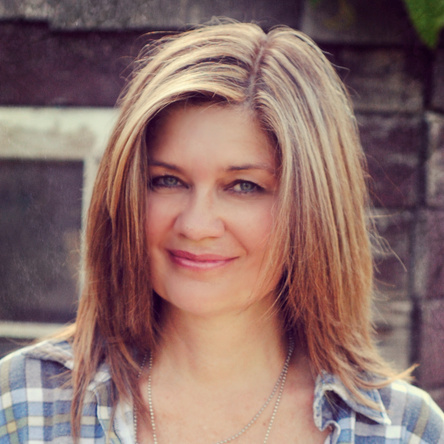 I love this kind of makeover just as much as the pretty ones – I love it when I can find what I want when I want it & doing this is how we get there! I also get distracted when I’m going through old stuff like this – such fun finds! Such fun to look at those well loved toys! I still have my Barbie and Ken.Almost all my Barbie’s clothes were sewn by my grandma–she has a lined coat with a dress that matches the coat lining. It’s really funny to look at my Ken versus my younger sister’s, hers has muscles and wavy hair while mie is skinny with a crewcut. I still have his hunting outfit complete with gun, so not correct today! 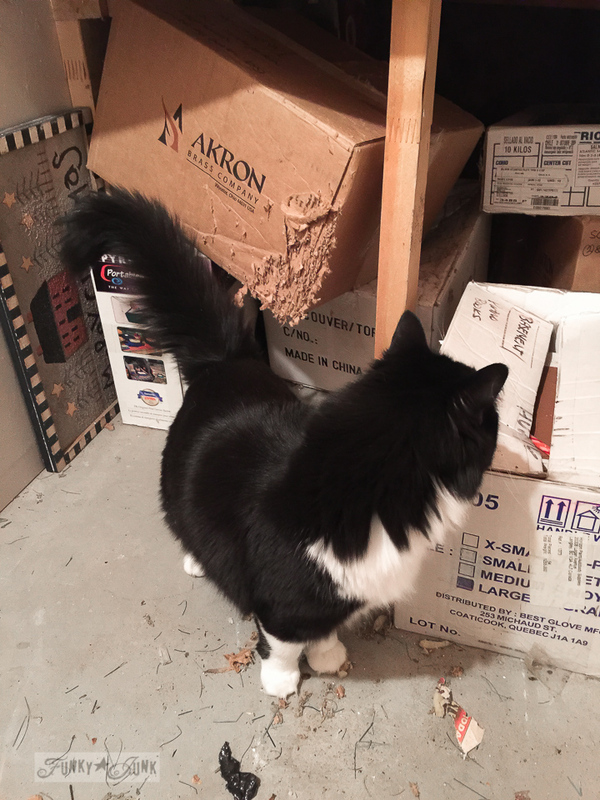 For what it’s worth, perhaps your kitty would also take to the cardboard scratching systems they sell at pet stores. 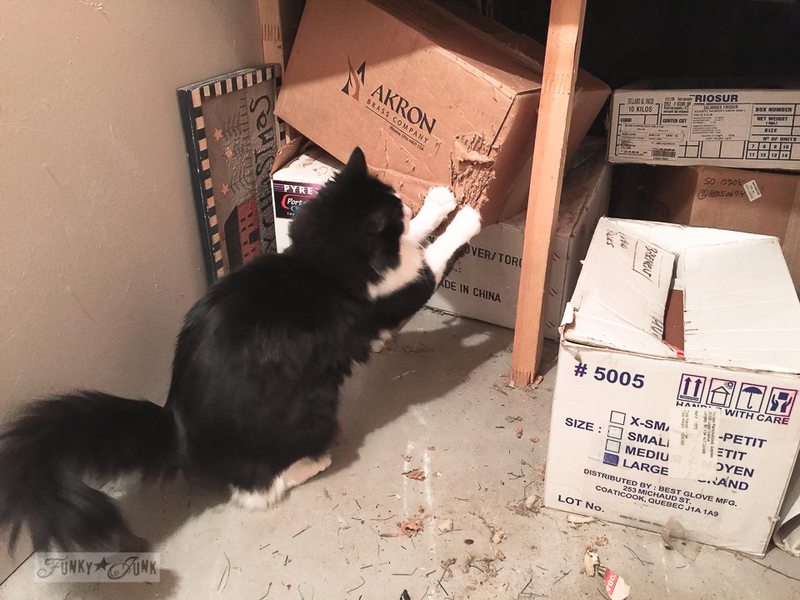 How do I know about scratching posts and systems? Because we have the sisal kind, the carpet kind, the cardboard kind plus ones that stand up, lay down and slant. Why? Oh, I read that cats like different materials and ways to scratch, so the smart owner should provide a variety? And…the main culprit (talking about you, Boo) likes to use them all, plus he likes two thrift store chairs and door jams. I thought mice at first but then I too recognized the signs of kitty nails. Just like our children, it’s a lucky thing they are so cute and provide a lot of love and companionship. I still have my Baby-Crissy doll. 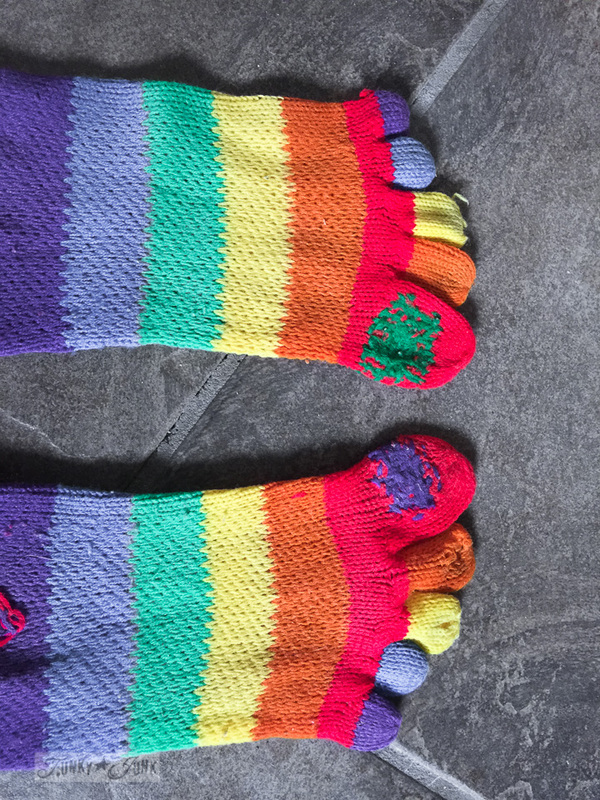 Sadly my toe socks wore out years ago… although my friends won’t forget me playing “Heart and Soul” with my toes while wearing them for our talent show! Fun memories! Oh my gosh, I had a Velvet and a Chrissy. I left Chrissy in the back window of our car while on our trip to the Lake of the Ozarks and when we got back in the car at the end of the week, I came to find her hair had melted off. It’s amazing you have all those old toys and the boxes in many cases. Such a fun post and video!!! Donna, we must be about the same age! Wow, did this bring back memories! I LOVED my Footsie, Kittles and Malibu Barbie. I didn’t have the school bus lunch box, but did have a very cool Laugh-In lunch box! I really wanted an Easy-Bake oven for Christmas one year. My ever practical mom gave me three small round metal cake pans instead and let me make cakes in the real oven. Somehow, it just wasn’t the same! Do you remember the Hi Hiedi and Hi Jan dolls? I had both. I had a friend named Hiedi who rode our bus, and we would play with them together. I was always cutting my dolls hair too. Most of the time with not very pretty results! Thanks for showing us your treasures! After I put Christmas away, I dragged in some sections of old picket fencing into my basement. I feel like I’ve been obsessed with the fencing making all kinds of signs and attaching old hardware to them. I’m also working on using one bed from an old wooden bunk bed into a day bed. When I saw the price of daybeds, I knew I had to be creative. I found a wood one in a local Habitat for Humanity Re-Store and am working on the headboard and footboard. I want to use cedar fence panels to make storage on wheels to put under it. We’ll see how well it turns out! That being said, I’m in an opposite mode than you. I want to create and not clean! LOL! I know what you mean about getting “your groove back” after the holidays….Loved this post…Glad to hear that “your little girl” was actually the culprit and not a rodent!…The Crissy doll brings back so many memories of my little sister Chrissy wanting one so badly and finally getting her wish one Christmas….and yes, they still make those socks…my son wears them when he plays men’s soccer…Welcome back and have a great week! 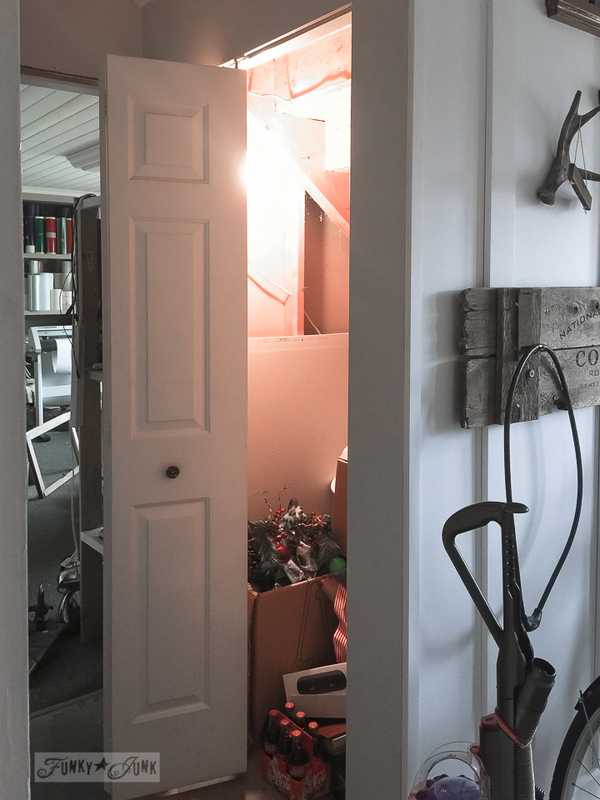 Still looking for the groove… I think a little more cleaning will open up the space needed for more stuff! Thanks for your visit, Shirley! I have been doing a fair amount of house cleaning myself. I totally understand losing the creative muse from time to time. We just got our Christmas Decorations put away yesterday I am in a bit of a creative lull and hopeful that cleaning up will help. Loved the toy tour! And around we go… 🙂 Here’s to both of us finding our DIY mojo again! Gosh, I had the exact easy bake ove, same color and everything! Made some delicious goodies in it! Lol. Great memories!